The award-winning, ergonomic and complete two-piece MRA Vario Screen easily adjusts in height by hand - with no tools required - enabling you to alter the airflow directed towards you to reduce turbulence and buffeting, improve your comfort and vastly reduce rider fatigue on - even the longest journeys. "Just returned from a 1000 miles round trip to Scotland and the screen worked brilliantly and really suits the bike. I'd certainly recommend it to other 'Tiger' owners." *Grey/Smoked Screens normally available from stock. 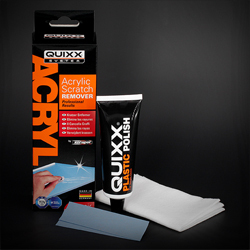 Clear screens manufactured to order, with approx. 5-10 working days delivery (non-refundable payment taken at time of order). Please note: Some bikes may have the Triumph Accessory 'Adjustable High Screen Kit' fitted (400mm high) (see 'MORE IMAGES' link under the picture above), if this is the case please select the appropriate option from the menu below and the correct mounts will be sent. !quote, 58624, windshields, wind, shields, motorcycle, vision, vario, vario-screens, screens, gray, grey, tinted, smoked, 800xc, 800xca, 800xcx, 800xrt, 800xrx, xc, xca, xcx, xrt, xrx, 10, 11, 12, 13, 14, 15, 16, 17, 2010, 2011, 2012, 2013, 2014, 2015, 2016, 2017! Complete fitting kit, supplied, enables the angle of the whole screen to be varied which  in combination with the seven position adjustment of the spoiler  provides the best all round airflow for the rider of average height (for taller riders over 6' / 1.8m see X-Creen below). Tailor your bike's airflow to suit your individual height, riding stance/clothing, combined with the noise characteristics of your helmet and your typical cruising speed. "The Triumph's standard adjustable screen was utter c**p for me, couldn't go over 60-70 mph without having a HUGE drumming sound bashing the c**p out of me, love the bike but hated the screen. [With the new screen] done another 40-ish miles today & not noticing the wind noise or buffetting. [After adjusting] it gives visor-up riding up to around 60mph and with the visor down doesn't get loud until three-figures plus. I am 5'8" equally proportioned ... I sit on the lowest seat setting. I can now ride [with my Schuberth S1 helmet] without ear plugs around town with the new screen, the old one was loud even at 40 mph"
The award-winning, ergonomic MRA Vario-Touring Spoiler, has seven-positions enabling you to alter the airflow directed towards you, by hand (no tools required), to reduce turbulence and buffeting, improve your comfort and vastly reduce rider fatigue on - even the longest journeys. !quote, 57407, 58728, 4025066130818, tiger800, xc800, 800 xc, 800, windshields, wind, shields, windscreen, motorcycle, motorbike, sportsbike, vision, vario, touring, screens, vario-screens, vario-shields, gray, grey, tinted, smoked, ecran, vent, pare-brise, 800xc, 800xcx, 8000xrt, xc, xcx, xrt, 10, 11, 12, 13, 14, 15, 16, 17, 2010, 2011, 2012, 2013, 2014, 2015, 2016, 2017! As most Tiger 800 owners will tell you, the standard screen is very noisy and prone to buffeting at motorway speeds. This screen has transformed my bike, zero turbulence at speed and much much quieter.This screen is of excellent quality and the service from bikeHPS was first class. What a difference this screen makes on my Tiger. All the turbulence and noise is gone! I can have my visor open to avoid fogging on early chilly mornings when stopping at traffic lights or to cool down when it is warm like it is now. And the screen looks so good on the bike! I´ll recommend both the screen and you to my friends! Seems well made. Fitted easily. 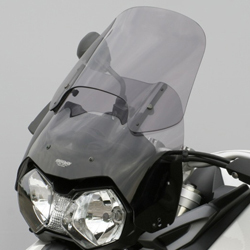 Complete fitting kit supplied enables the angle of the whole screen to be varied which - in combination with the multi-angle adjustment of the spoiler  provides the best all round airflow for the tallest of riders - recommended for those over 6' / 1.8m (shorter riders - please see Vario Touring Screen above). Tailor your bike's airflow to suit your individual height, riding stance/clothing, combined with the noise characteristics of your helmet and your typical cruising speed.. Please note this screen is supplied to order with approx 5-10 days delivery - non-refundable payment will be taken at time of ordering. !quote, 57408, 4025066130849, tiger800, xc800, 800 xc, 800, xcreen, xscreen, x-screen, windshields, wind, shields, windscreen, motorcycle, motorbike, sportsbike, vision, vario, touring, screens, vario, vario-screens, vario-shields, gray, grey, tinted, smoked, ecran, vent, pare-brise, 800xc, 800xcx, 8000xrt, xc, xcx, xrt, 10, 11, 12, 13, 14, 15, 16, 17, 2010, 2011, 2012, 2013, 2014, 2015, 2016, 2017!